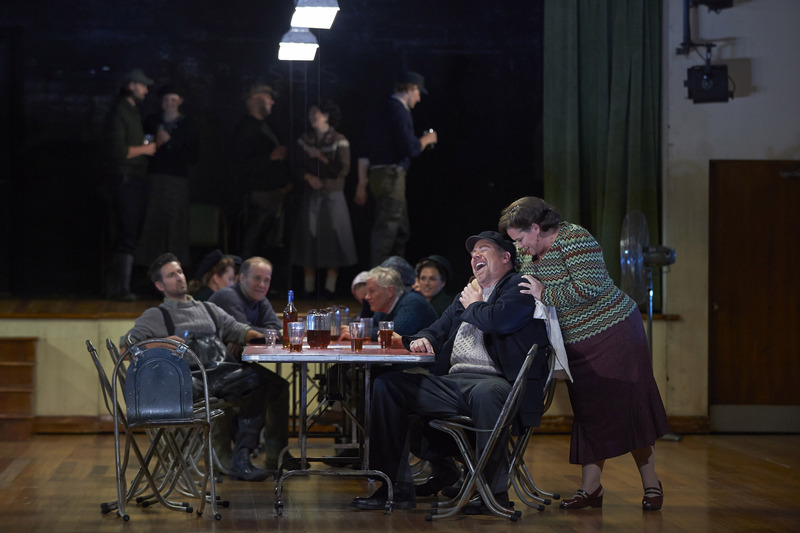 Readers of this blog will likely know that Peter Grimes is a very special opera for me. I’ve watched it live and on recordings a lot. I think about it a lot troo so the chance to see it live is rather special. It’s even more special when it’s done as well as at the Four Seasons Centre last night in the opening performance of a new run of Neil Armfield’s much travelled production, revived here by Denni Sayers. 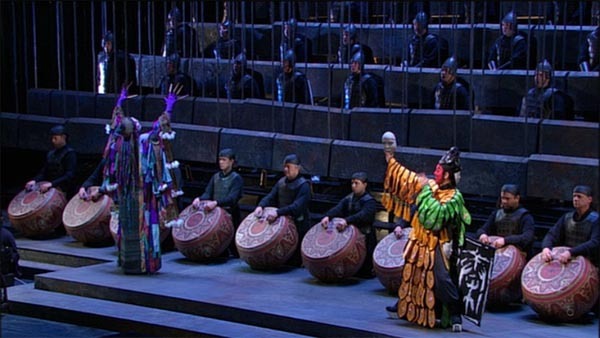 The design and production team that created the production of Tan Dun’s The First Emperor at the Metropolitan Opera in 2006, broadcast in HD in January 2007 and subsequently released on DVD, deserve the highest praise. 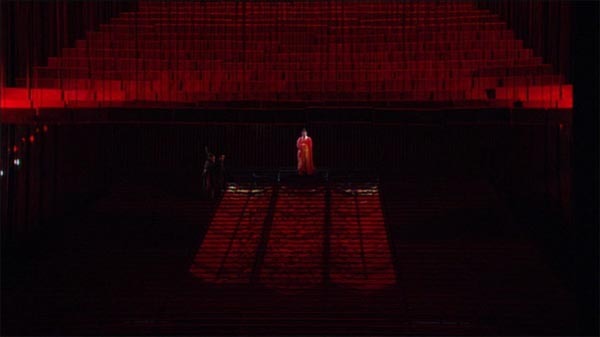 Set designer Fan Yue, costume designer Emi Wada, lighting designer Duane Schuler, choreographer Dou Dou Huang and director Zhang Yimou (of Raise the Red Lantern fame) create some absolutely stunning images making full use of the great breadth and depth of the Met stage. Unfortunately the libretto and the music aren’t nearly as good and despite extremely committed performances from soloists, chorus and orchestra the work never quite gels. So what is The First Emperor? It’s a two act opera based on the life of the emperor Qin unifier of China, builder of the Great Wall and ultimately buried with the famous terra cotta soldiers. In Tam Dun’s version of the story he, besides conquering China, is looking for the ultimate anthem to celebrate his life which will be produced by his childhood companion Gao Jianli. There’s a love triangle involving Gianli, the princess Yueyang and the general Wang. 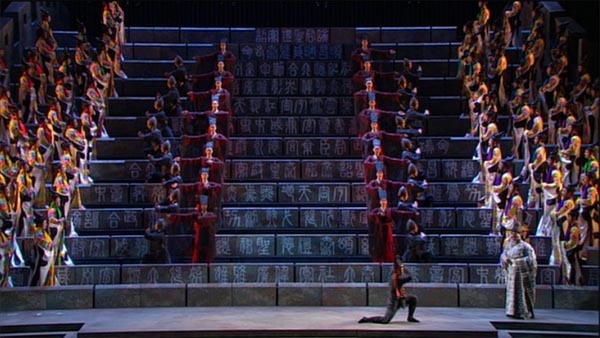 In true operatic style they all end up dead and Gianli’s revenge is that Qin’s anthem turns out to be the lament of the slaves building the Great Wall. It includes the line “When will our suffering end?” which was about what I was thinking by that point. The problems, as so often with modern opera, start with the libretto. There is no poetry, literal or figurative, in it. It’s banal in the same way that most of the libretto of Doctor Atomic is banal. Mostly the vocal line is set in a dull declamatory style though the princess gets some passages with some coloratura interest and the chorus gets some Peking Opera like writing. What goes on behind, and almost independently, of the vocal line is all over the map. Sometimes it’s derived from the Peking Opera and sometimes from Chinese folk music; the mix at times sounding like the soundtrack for a Chinese propaganda film. At times it recalls the dissonances of modern European art music and at others it sounds like watered down Andrew Lloyd Webber. Write at the beginning the emperor asks “Is this music?”. I’m not sure he gets an answer. It’s got some good things going for it. There is some really good writing for percussion and the opening sequence using a Peking Opera trained singer, Wu Hsing-Kuo, as the master of ceremonies is weirdly affecting (this is the bit that got played over and over as the test track for subsequent Met HD broadcasts). All in all it doesn’t really cohere. The performance is pretty good though. The stand outs are Wu Hsing-Kuo and Elizabeth Futral as the princess. Placido Domingo is, of course, solid as the emperor but really he doesn’t have much to work with. Good solid work too from Paul Groves as Jianli and Michelle deYoung as the shaman. The Orchestra and Chorus do wonderfully well coping with some highly unusual demands. For example, there is a passage where the orchestra downs instruments and engages in a sort of pitched shouting. There’s a whole core of Chinese percussionists too. The composer conducts with great fire. Direction for video by Brian Large isn’t bad. It’s heavy on the close ups but there are enough setting shots to give us context. 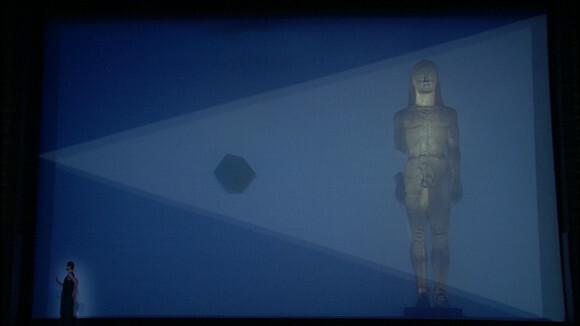 The picture is very good by DVD standards as one might expect but one really wonders(1) why this didn’t get a Blu-ray release for if any of the Met HD productions would have benefited from the extra video quality it’s this one. Sound is solid DTS 5.1 with LPCM stereo as an alternative. There are English, French, Italian, German and Spanish sub-titles. The documentation (English only) includes an essay on Tan Dun’s musical style and a synopsis. There is further English, French and German documentation included in PDF format. There is also a 20 minute rehearsal bonus track and a short interview with Domingo. fn1. One doesn’t really wonder. For whatever reason it’s an EMI release and they don’t do Blu-ray. In 2006 the Salzburg Festival staged all 22 Mozart operas and Decca released them all on DVD. 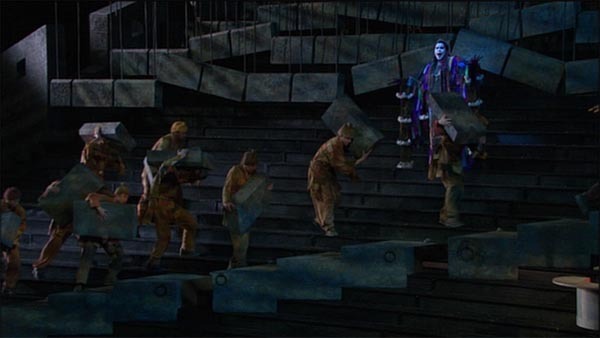 Die Zauberflöte appeared in a Pierre Audi production originally staged in Amsterdam.